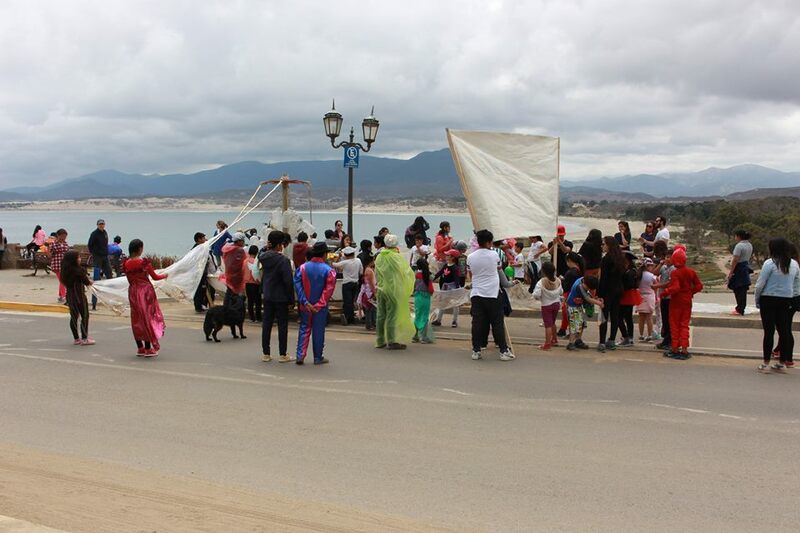 A traveling performance installation and festival, created with the townspeople of Pichidangui, Chile, face to face with the town’s current water crisis. The children of Pichidangui gather to mark their homes and their favorite spots in town on the map of memory. The Altar for Water starts its journey from the center of town, the heart of resilient Pichidangui. The boat travels from one site of story to another, docking in each place to celebrate the hopes and dreams of its people. Finally at the shore, the altar shines bright with the prayers of the people of Pichidangui, wishing for the next Golden Age. Cultura Consejo Nacional de la Cultura y las Artes. Created by Maria Fernanda Videla Urra and Scarlett Kim.